We’ve had a taste of every season here in Kansas these past few weeks. With that, here’s a reminder on an excellent source for weather details – the KSU Mesonet. You might have your own on-site weather station. At minimum, you might have a soil temperature probe. 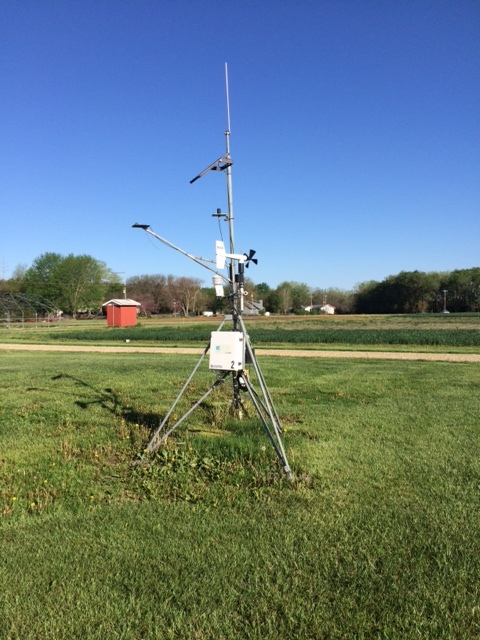 To supplement those, you can visit the Mesonet website and check for a station near you. Just click on a site, and some info will pop up. For historical weather, click on the menu on the upper left, then go to WEATHER and then HISTORICAL WEATHER and you can select the days you want to consider. There are various options for soil temperatures and many other features. Soil temperatures can be important indicators for different management practices. Again, I highly encourage you to measure your own conditions on site, since there are lots of different microclimates in the world of turf and landscape. But it does not hurt to compare to a nearby weather station. If you have never used Mesonet, check it out!